Looking got FaceTime for Android? Unfortunately, Apple’s popular video calling app FaceTime is only available for iOS devices. So, Android users need to find a good alternative to Facebook for Android. If you have just moved from iOS to Android, you will surely look for a good video calling app that offers FaceTime like experience. There are lots of video calling apps, but only a few are there to compete with FaceTime. Here is the list of best alternatives to FaceTime for Android. 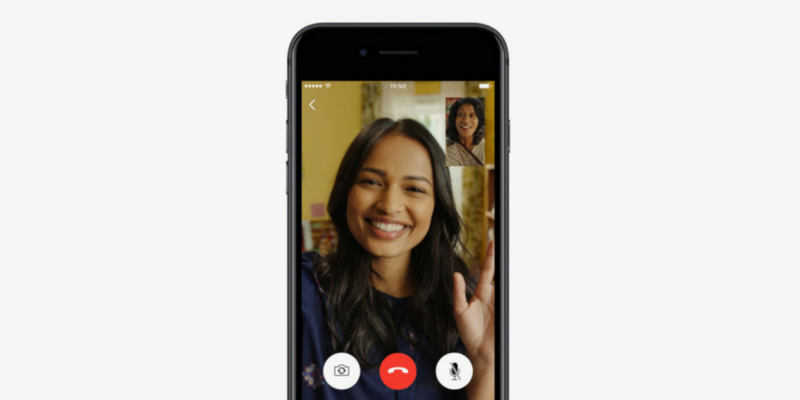 Google Duo is Google’s latest attempt at getting a good market share in video calling segment. This app is very minimal and offers quick video calling even on a low network. This is a cross-platform app. So, you can even talk to your friends using iPhone. It ties to your phone number and looks for your contacts using duo. Before Google announced Duo, hangouts were its most popular video calling app. After the Duo, Hangouts saw a huge drop in calls, but it is still relevant. It offers good video calling experience. The best thing is that it is available for multiple platforms and even on a desktop or the web. I am sure you already know about Skype. It is one of the oldest video calling services available for mobile and desktop. This cross platform video calling app is best for a professional level of communication. If you are looking for a good FaceTime alternative, you can go with this as well. The only downside is that you need to create a Skype account. Everyone is on Facebook, So Messenger is another good option for video calling. Almost all of your friends use Messenger. The app is available for iOS and Android platforms as well. WhatsApp is another Facebook-owned app with billions of users. If you already use WhatsApp, you can enjoy its video calling feature as well. It also offers good video quality experience. If you compare the quality of video calls with other apps, it is not as good. Since everyone is now using WhatsApp, you can easily talk to almost any of you friends on WhatsApp. Cabana is a unique app that allows you to have video calls with friends. You can call up to 5 of your friend, watch YouTube videos together in the actual video chat and more. This app is interesting, so you should also try it once. Tango is one of the oldest video calling apps for Android. Now it has been improved a lot and it also supports text messages and voice calls. It has also added lots of other features to make it more interesting. The app is free to use. So, you can also try it once. Android has several video calling apps, but these are good to try. You cannot use FaceTime on Android. Apple also has no plans to expand this video calling service. So, you are bound to use alternate video calling services. Try these apps and let us know your views in the comments.